To all of our French readers, please enjoy this anniversary of the Storming of Bastille, which was a turning point in the French Revolution in 1789, in case you were unaware. 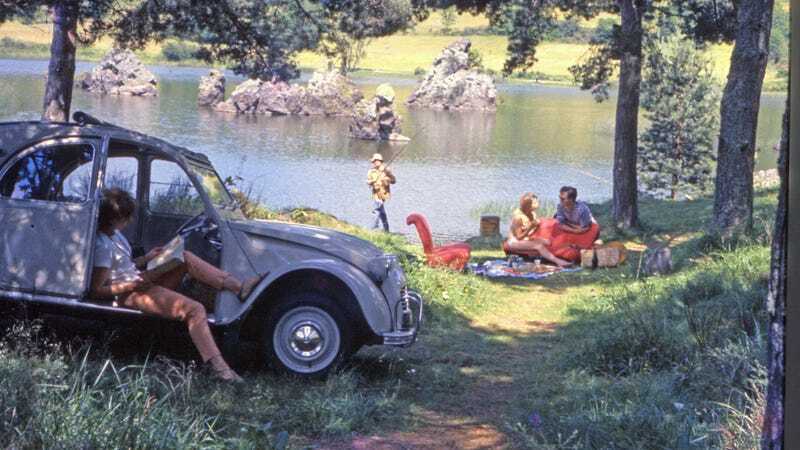 Take the time to drive your family of four down to the lake shore for a picnic, fly fishing, and leisure reading in your quaint and lovely 2CV. Deux Chevaux, indeed mon ami!